Is there a reality that corresponds to the deepest desires of our heart? Who gets the last word—the Romance or the Arrows? We need to know, so we are constantly, every moment of our lives, trying to make sense out of our experiences. We look for coherence, a flow, an assurance that things fit together. Our problem is that most of us live our lives like a movie we've arrived at twenty minutes late. The action is well under way and we haven't a clue what's happening. Who are these people? Who are the good guys and who are the bad guys? Why are they doing that? What's going on? We sense that something really important, perhaps even glorious, is taking place, and yet it all seems so random. Beauty catches us by surprise and makes us wish for more, but then the Arrows come and we are pierced. No wonder it's so hard to live from our heart! We find ourselves in the middle of a story that is sometimes wonderful, sometimes awful, often a confusing mixture of both, and we haven't the slightest clue how to make sense of it all. Worse, we try to interpret the meaning of life with only fragments, isolated incidents, feelings, and images without reference to the story of which these scenes are merely a part. It can't be done, because, as Julia Gatta pointed out, "Experience, no matter how accurately understood, can never furnish its own interpretation." So we look for someone to interpret life for us. Our interpreters will usually be the primary people in our lives when we are young, our parents or grandparents or another key figure. 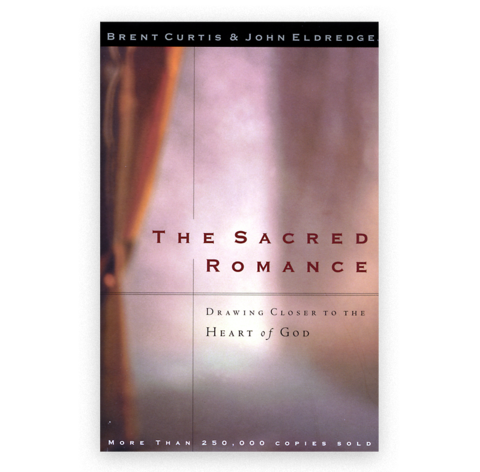 They shape our understanding of the story in which we find ourselves and tell us what to do with the Romance, the Arrows, and our hearts.